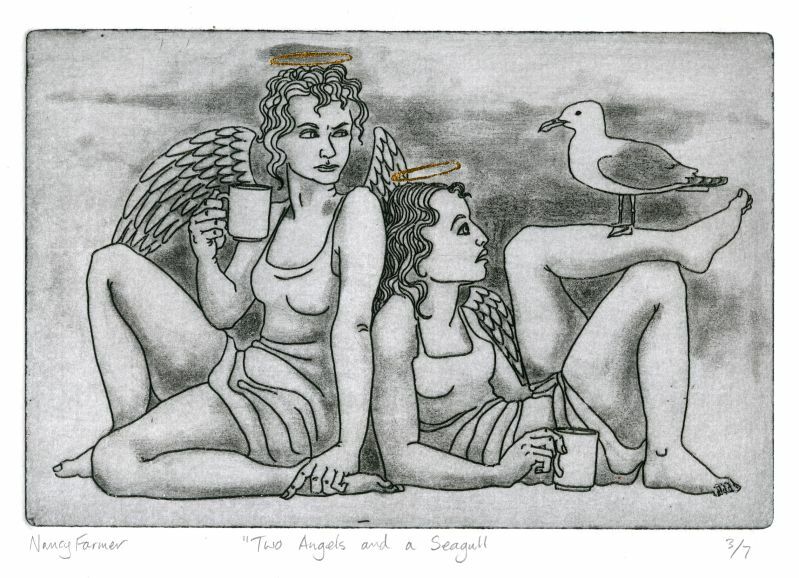 Artwork details: etching, with gold leaf highlights, 7 x 4.7 inches (18 x 12 cm), 2010. The drawback to lounging about on clouds all day, is of course the seagulls. Angels hate them.